Unlock Sony Ericsson Xperia U - Safe IMEI Unlocking Codes for You! Unlock Sony Xperia U Handset! In case your Xperia U doesn't ask for the code and there is no designated field to enter it, please DON'T PLACE ANY ORDER, contact us first for support. Looking to get your Xperia U unlocked? SafeUnlockCode can help you to get it unlocked without fuss! Our services are secure, safe, fast and 100% guaranteed to work. We also pride ourselves on making unlock codes that cost a whole lot less than mobile network unlock fees. Once you do get an unlock code from us, you’ll be able to get unlocked within minutes! Need to get a different phone unlocked instead of the Xperia U? Check out our huge list. Once you are unlocked, your Xperia U will be capable of using practically any GSM SIM network worldwide, including the likes of AT&T, Rogers, Bell, Telus, Three, Vodafone and many, many more. IMEI - Easy to find, just dial *#06# or look for it on a sticker that can be found under the Xperia U’s battery. Country - We will need to know the country that you bought your Xperia U in. Network - And to get unlocked, we’ll also need the network your Xperia U is locked to. 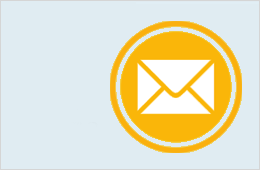 Please Note: We cannot refund anybody for wrongly entering in information into our order process- PLEASE READ what you enter before making an order to ensure it is all correct. You’ll now need to see how many unlock attempts remain on your Xperia U. First off, pop in a SIM card that doesn’t use the network your Xperia U is currently locked to. The number alongside network will explain to you how many remaining unlocks are left on your Xperia U- zero means you are all out and won’t be able to use our service. If this is the case ,PLEASE DO NOT place an order with us. How to Unlock Sony Xperia U Phone - Tutorial! So now that you’ve dealt with the other parts, you can now move onto the easy unlocking process. First, send us your IMEI, country and locked network, as well as an email so we can contact you later with an unlock code. Next you’ll need to move onto pricing and availability and then you can move to placing an order. After placing an order and receiving the unlock code email, you can now enter in a new SIM card into your Xperia U and then turn it on to start the unlock process. When the phone asks for an unlock code, enter your code we sent you and your phone will be unlocked! Having problems with the final stage? Just contact us and we’ll be glad to help. is refund available too in case the code wont work? 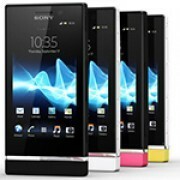 Do you have code for Xperia U from austria?